I love art submissions. 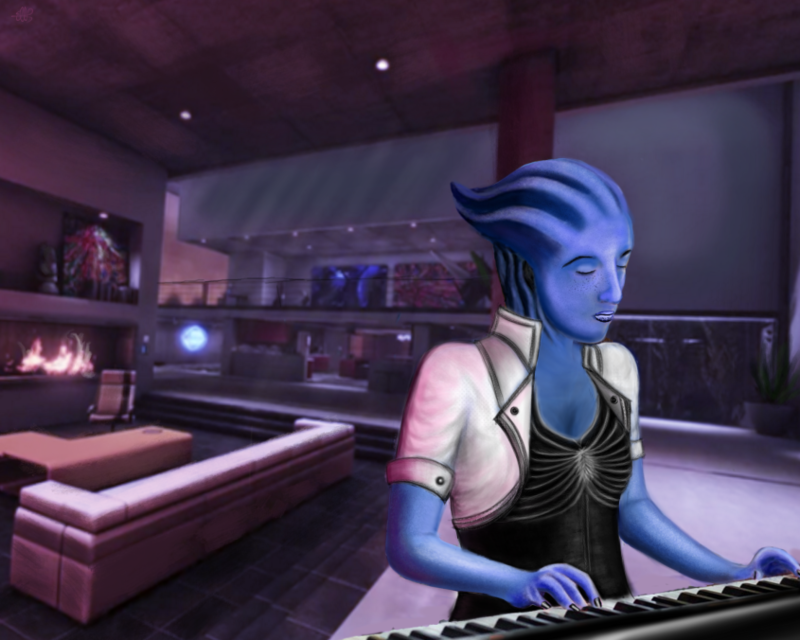 This one is from one of the Discord users (The Wele) of Liara playing piano. A scene from OSABC. Designed by The Wele.